You need storage. Make it a stylish choice with Daven. Handy, roomy, and lightweight, this set of 2 storage trunks is the only thing you’ll want to use to keep your clutter tucked away. Have you seen its sleek brass handles? A luxe touch that puts the case forward for keeping Daven on display. Stack yours on your dressing table or desk. 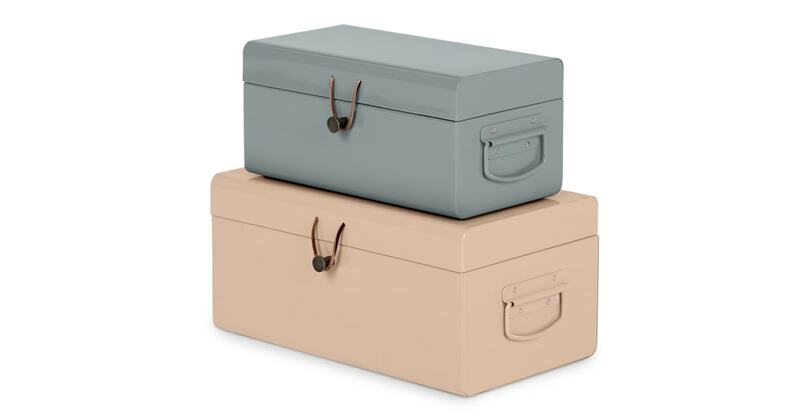 These storage trunks come in contrasting tones of playful colours – perfect for brightening up living rooms, bedrooms and offices. And in different sizes, they nest into each other. They even save space when not in use, too.